rocky's bru: What is it with the Johor Palace and KJ? 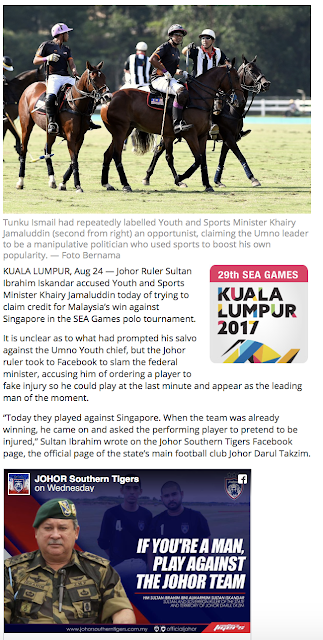 TTDI, 25 Aug 2017: The Istana Johor's disdain for Khairy Jamaluddin, our Sports and Youth Minister, is not new. 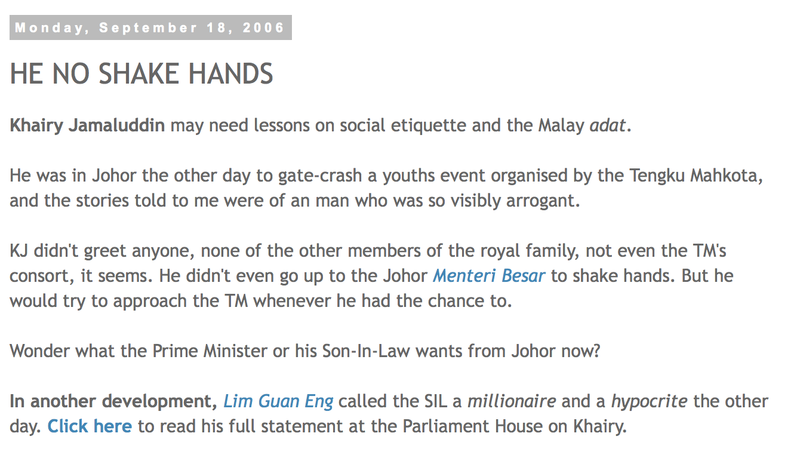 When KJ was just the son-in-law of then PM Abdullah Ahmad Badawi, he offended someone in Sultan Ibrahim's family. To this day, I am not sure what exactly happened. But back then I was somewhat close to Tunku Yem, who was the Crown Prince, so I was sometimes privy to some of things that affected Istana Pelangi and its occupants. 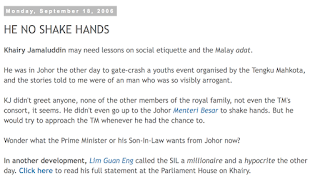 I remember one day in September 2006 KJ was in Johor, in what capacity I am now not sure, and some members from the Pasir Pelangi palace were there at the same event. One of them reported to me about how arrogant KJ had been. That was 11 years ago, mind you. So much time to mend bridges. Or burn a few more. In the case of Sultan Yem's family and KJ, obviously the latter. I used to think it was just between the present TMJ (Tunku Ismail) and Khairy but, well, that seems no longer the case! The Sultan of Johor is a very popular man but I'm not sure if his advisors have told him that his comments on KJ and the polo team did not endear him with too many of us. 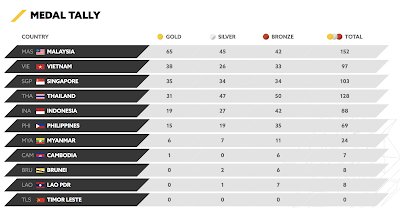 Khairy may not be any good at polo, or anywhere as good as TMJ or Sultan Yem himself, or is manipulating sports for his political advancement, etc etc but let someone else say it. The Sultan should be above this kind of things, if you know what I mean. 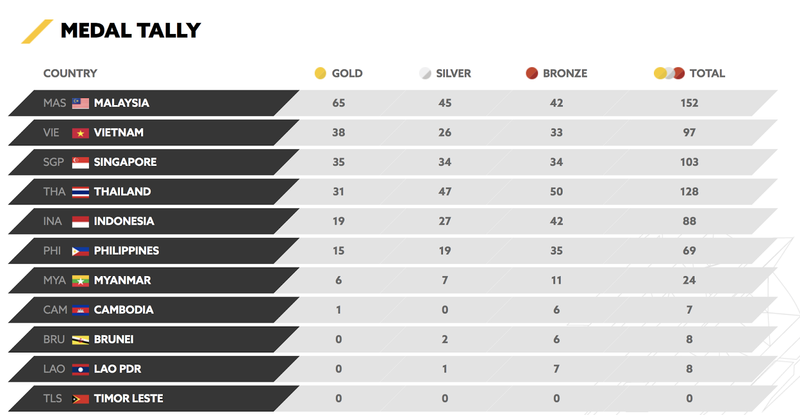 If malaysia team against johor team, I surely side with malaysia team. This kind of thing or these kind of things.